While our main focus at Horse Tack Now is top quality Snaffle Bits, we proudly offer other quality horse tack items including Adjusta Bit Snaffle Bit w/Aluminum Shanks by Coronet. Take a look at this bit that we have in stock. The Adjustabit that we offer has aluminum shanks and is made by Coronet. This Adjustabit changes sizes by simply twisting the shanks in opposte directions to increase or decrease the size. This Adjustabit adjusts from 4 3/4'' to 5 1/2''. The adjustable bits by coronet are premium quality products. 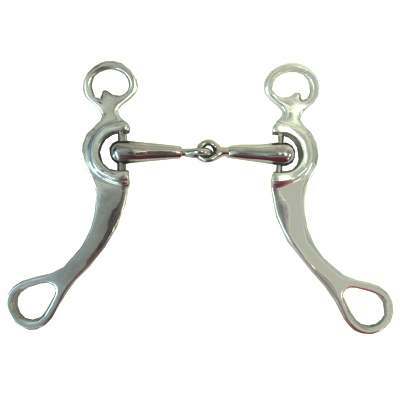 Coronet is well known for the perfectly engineered horse bit that they offer.